We offer quilt retreats at The Old Bakery which can be custom made to suit your requirements. Shown here is an example of what we can do; for more information and to discuss what you would like to include call Alison on 01263 862802. 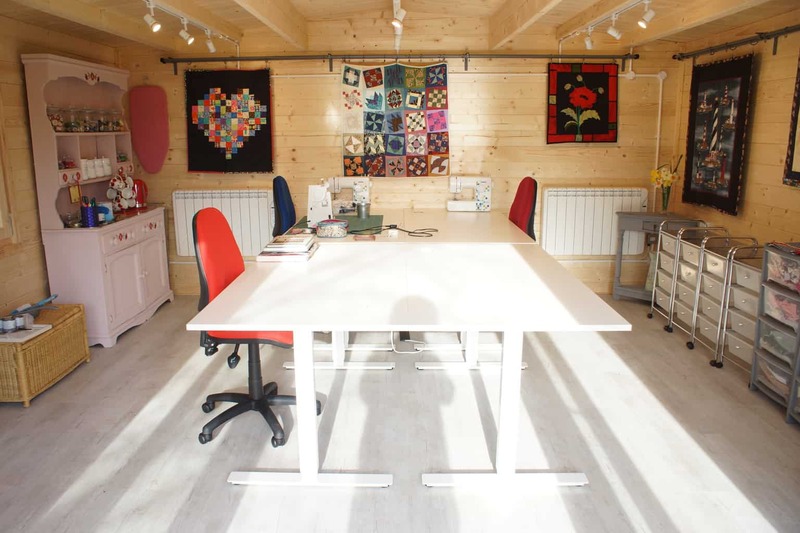 We are delighted to share our brand new, purpose built quilt studio with visiting quilters. There are four positions with adjustable height large work desks, comfortable, adjustable height chairs and individual storage trolleys. 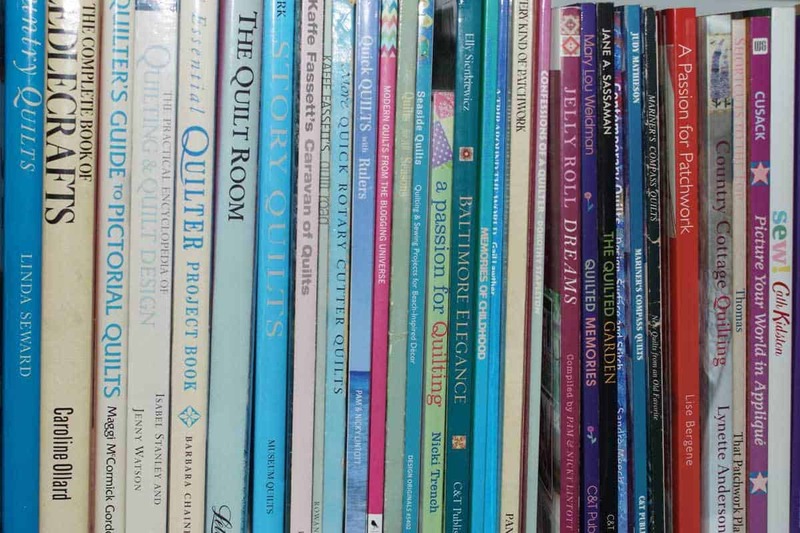 We have lots of quilt books and magazines to browse through if you need some ideas. 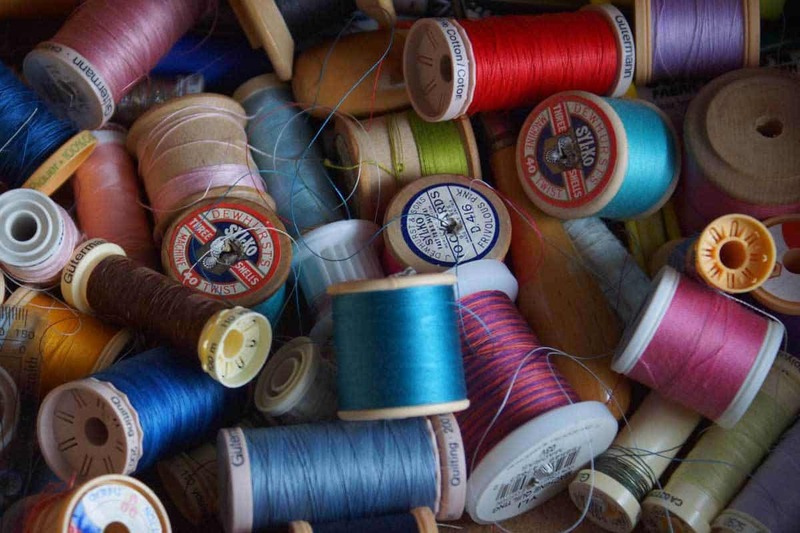 We have a selection of sewing machines including a Bernina Quilters machine which you are welcome to use. You are also welcome to bring your own machines. Friday: Arrive Friday afternoon – from 2pm onwards – enjoy afternoon tea and cakes. Quilt for as long as you like. Two course evening meal using home-cooked and locally sourced food; we have an Evening Meal award from the AA. There’s more time to sew in the evening. Saturday: Breakfast -we have an award from the AA for our breakfasts which include cereals, local yogurts, choice of starters and main courses, croissants, toast and home-made preserves. 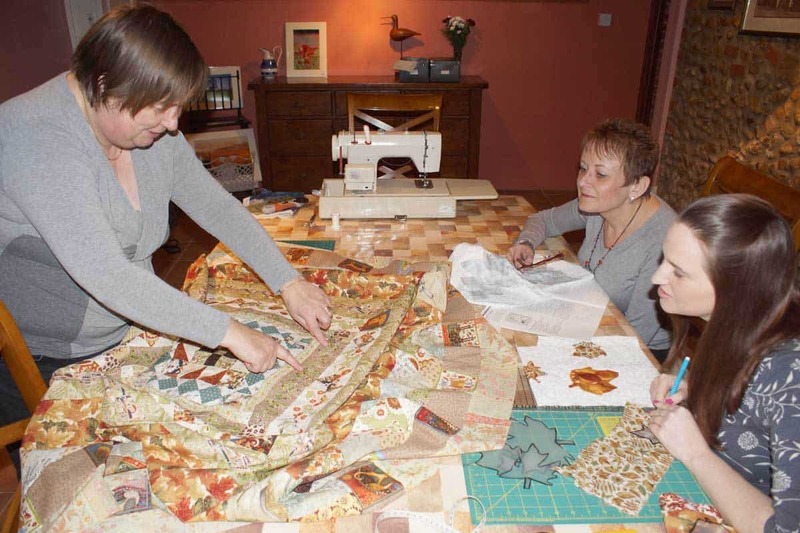 Work on your own quilting projects or choose from one of the workshops Alison delivers. Two course evening meal and time to sew in the evening. Tea, coffee and biscuits available throughout. We don’t have a licence but you are welcome to bring your own wine etc – we supply the glasses! We also have a living room that can easily seat 6 people and in the winter we have a log fire burning. 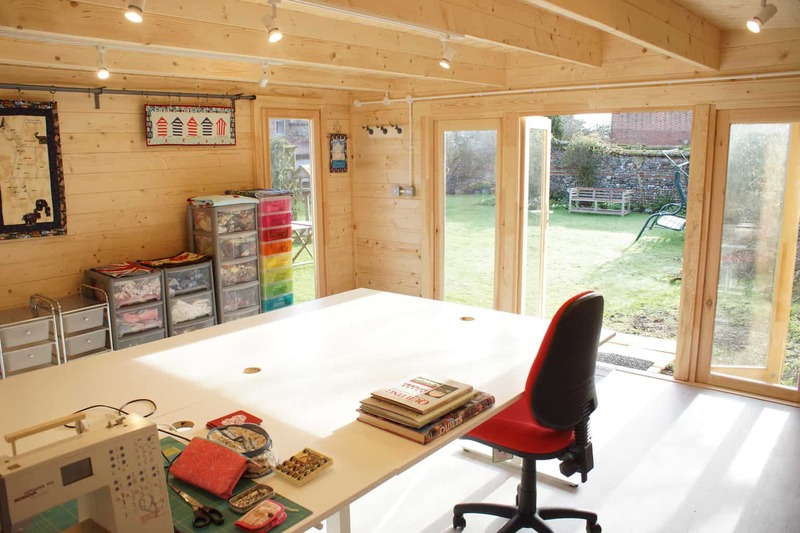 If it happens to be warm we’ve also got plenty of space in our walled garden to sit and sew, including a summerhouse. Cost: Based on the example above, (without workshops) the cost for the weekend which includes all food and accommodation is shown below. Prices are per person and reflect the different sizes of the guest bedrooms and bathroom facilities. Prices (per person) are based on a minimum of two people in either the B&B rooms or the Bakehouse. 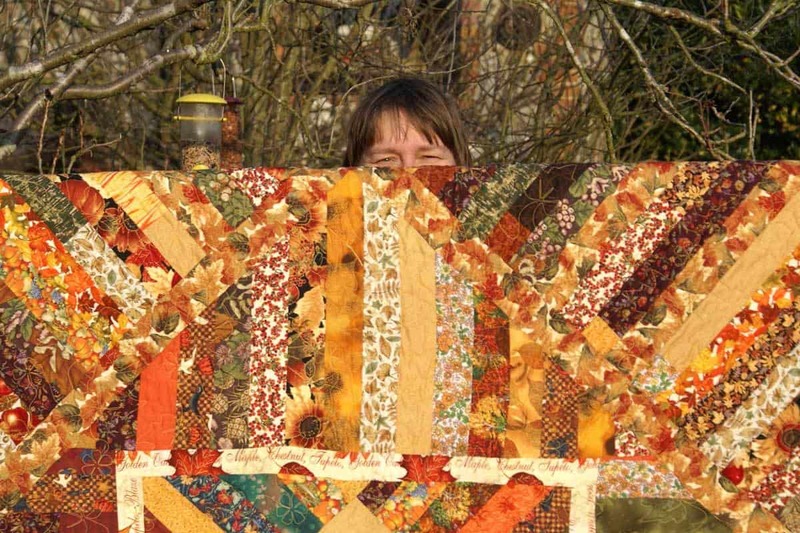 Other length of quilt retreat packages are available – please phone Alison to discuss what you would like. If you stay in the B&B or the cottage you can have exclusive use of the studio for either a half day or a whole day (subject to availability). 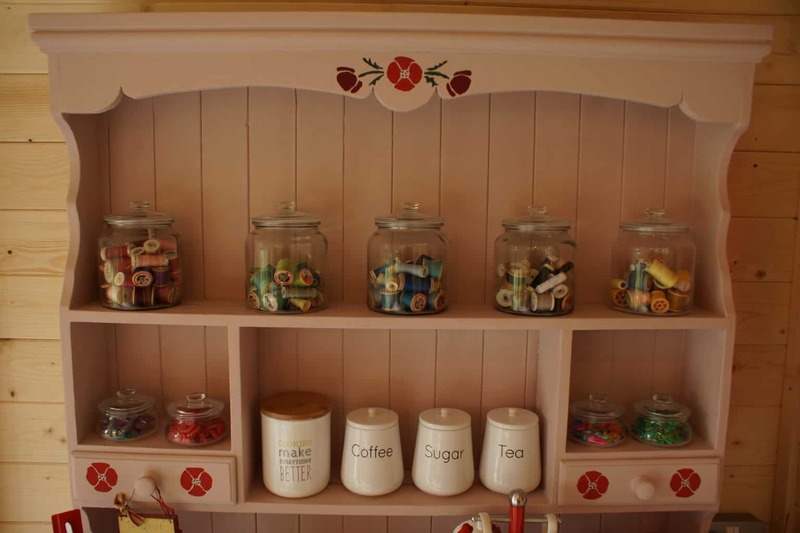 Whole day hire (9am-5pm) is £30 per person includes sandwich lunch, refreshments and home-made cake. From 2019 we are offering quilt retreat weekends for quilters who would like to meet and sew with other quilters. Need to find a better work/life balance? Need help in progressing in your career? Want to improve your leadership and management skills? Want to explore new possibilities? A coaching retreat at the award winning Old Bakery Norfolk gives you time to talk, to think, to plan and to work out the steps you need to take for your better future. Alison has deliberately priced the Coaching Retreats to make them affordable for a much wider range of people than may have previously considered coaching. She is also keen to spend time coaching people individually or as a couple with the same goals, rather than offer group coaching with minimal one to one coaching as she believes this is more effective for the person being coached. Her aim is that people will consider the weekend a worth-while investment in their future. Alison says that she can’t guarantee that you will find the new job or the new life you are searching for but she does know that identifying what steps you need to take, creating an action plan and having follow-up coaching sessions means it is much more likely to happen. She also understands that a successful coaching relationship is built upon the trust and rapport between the coach and coachee. Alison will have a free initial discussion on the phone lasting around 30 minutes. Coaching Retreat Weekend runs from late afternoon arrival on a Friday to departure by mid-day on a Sunday. Book now and take the first step towards a weekend that could change your life. The Bird ID Company is based in Hindolveston and offers a variety of bird-watching tours.